Explore good examples of good social media marketing. Explore good examples of good social media marketing. Analyse at least three pieces of work and then blog about them. As I mentioned before I like the automotive industry so I follow some of the biggest car brands in the world and Maserati is one of the biggest. 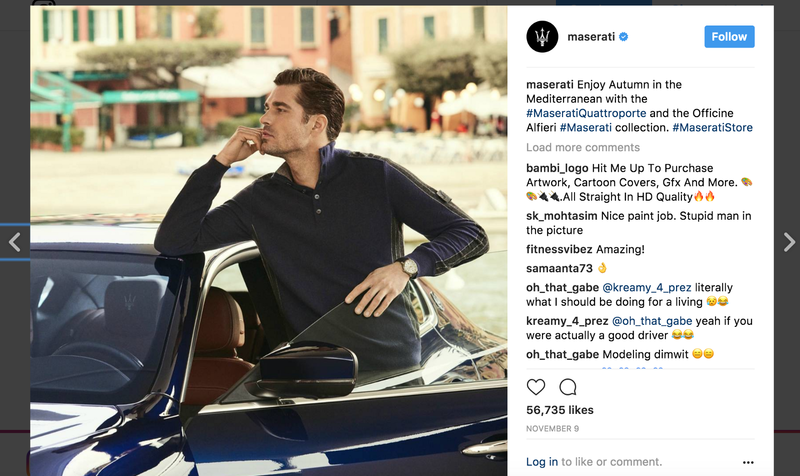 The way that Maserati market their cars on social media is very different to other car companies that are in the same category as them which is a luxury supercar, as Maserati sort of advertise a lifestyle along with the car. 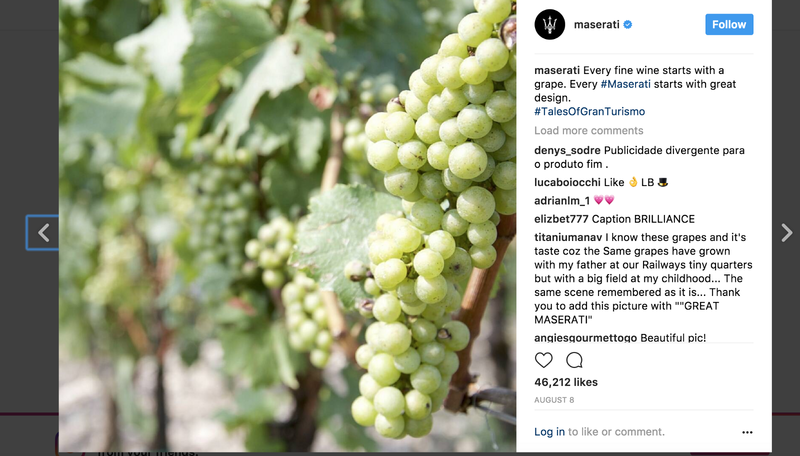 Maserati are also very clever in there use of hashtags for instance a few months ago they were using the hashtag #TalesOfGranTurismo but not all photos were of cars or promoting a lifestyle it was telling a story. Orlando City FC Major League Soccer in 2015 being a new football club in America. With football being a sport which is not the most popular in the US, Orlando City needed something creative and fun to get peopled involved with the club. The idea that they cam up with is a scavenger hunt for tickets to upcoming games around downtown Orlando, and posted clues as to where the tickets are on social media. They used Twitter, Instagram and Periscope to give the people the clues, and use the same accounts to let everyone know who found it and there reaction. 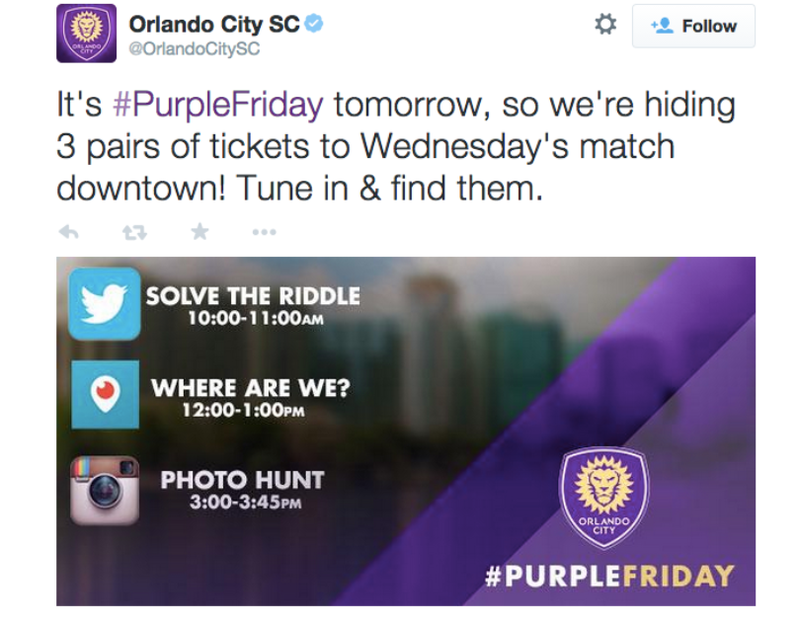 This was a simple, cheap, and effective campaign, which got many peopled involved.They used each platform to create an image puzzle on Instagram, using Periscope’s live feed to capture winners’ reactions, and tweeting important updates on Twitter with the hashtag #PurpleFriday. Avoracle, this was a social media campaign done by lidl during the European Championships in 2016. 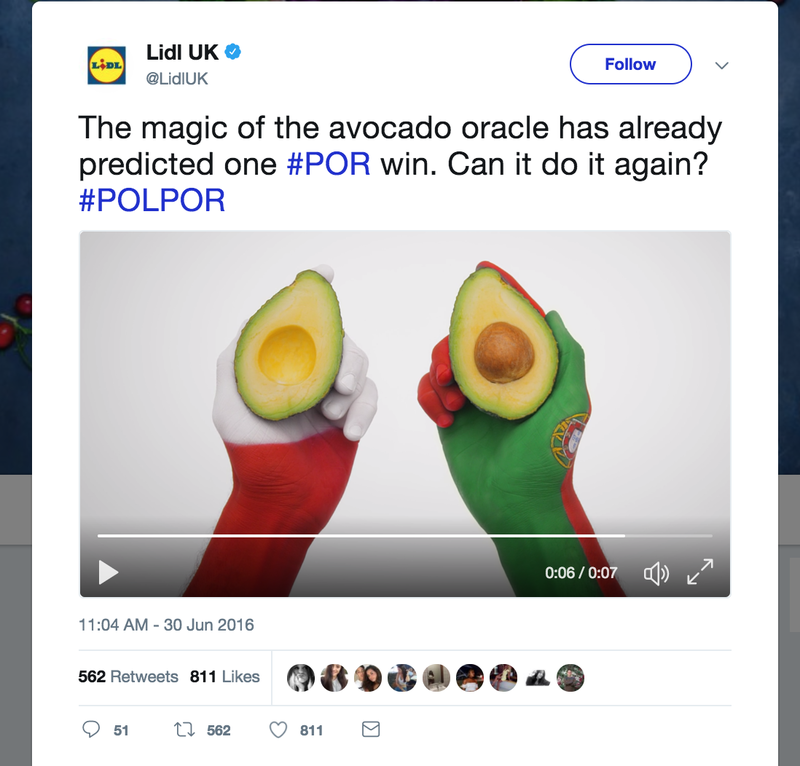 This was a quirky social media campaign in which Lidl, capitalised on the popularity of the avocado and the fact that you don’t know which side the pip is going to be when cutting the avocado, to predict the winners of all the games in the championship.